This September, EduKick Manchester played a tough game against Liverpool FC Foundation. As the game kicked off, Liverpool took the lead, using an aggressive play to take possession of the ball for the first 10 minutes. But EduKick wasn’t going to be outdone so easily. As soon as they found their flow, they took control of the ball and played a passing game, playing from the back end and maintaining possession. The game remained at an impasse, and by half time, neither side had scored. As the second half started, EduKick kept their momentum going. However, they started to miss goals and opportunities as the game progressed. Liverpool grabbed at the chance and scored, pulling ahead 0-1. At the end of the game, despite the EduKick team’s hard work, Liverpool came out ahead with a final score of 0-2. Have questions? Call 866.338.5425 or internationally at 001.905.631-9541. Success for the EduKick Manchester Soccer Academy! The first Edukick Manchester independent showcase event on Friday, August 25th, 2017, was a smashing success. All players registered with the program, along with some invited players from a local non-league side, got to show their ability to scouts and representatives from clubs around the northwest. The afternoon kicked off with a guest session from Leicester City player Richie Wellens. Richie, an English former professional footballer who primarily played as a central midfielder, is currently a first-team coach at Oldham Athletic. He has been to the international academy on a number of occasions for guest coaching sessions. However, Friday, Wellens personally prepared players for the up and coming showcase event and shared with them his experiences breaking into the professional game. His ability to relay the game from every aspect provided a great enrichment for the players. After the guest session from Richie, the Edukick boys were put into a showcase game under the watchful eye of one of the Oldham Athletic academy head coaches, Professional Football Scouts Association (PFSA) representation, Adam – one of the Manchester City Academy coaches and the Radcliffe Borough head coach. In a very competitive game, the players showed great ability, impressing the on-looking representatives with some real success. The PFSA has requested the details of one of our players, hoping to take him to some of the semi-professional and lower league clubs in the northwest for trials. Oldham Athletic has offered for four of our players to be invited into the Academy during September in order to: train with the teams, see what a club training environment is like, test their ability against players who have been signed by a professional club and enable the boys to sample first-hand what level they need in order to compete. Overall the showcase event was a great success for the Edukick Manchester Academy, enabling players to have an opportunity to demonstrate their ability and giving five players the opportunity to progress on to further trials or training! Follow the news and Facebook updates in the coming weeks to see more about those who are taking these opportunities. Want to join us for the next Manchester showcase in October? Email us now to book! “You learn a great deal about fitness, nutrition, and sports methods in relation to football,” he adds. At EduKick, we strive to provide the best possible training, exposure, and football experience available. In recent seasons, our players have been lucky enough to be coached by current England & Manchester United star Michael Carrick, ex-Newcastle & Blackburn player Darren Peacock, and ex-Blackpool & Leicester player Gary Taylor-Fletcher. Manchester City and England international star Trevor Sinclair has also coached, as well as ex-players Nicky Hunt, Danny Pugh, Paul Rahubka, Freddy Kanuote, and Michael Raynes. Download your academy guide today! Learn more about the two best football (soccer) Academies in England. See our Manchester Football School! Watch our Ellesmere Football Boarding School in action! Listen as student Athletes talk training! See student Athletes talk trials prep! Attention soccer coaches and footballers! Looking for the European football tour of a lifetime? With over a decade of experience running top football tours and training, our specialists would like to open up a whole new world of possibilities for your team. EduKick offers Football (Soccer) Team Tours and Training Camps in Madrid, Spain. Are you ready for a sneak peek inside your next SOCCER TEAM TOUR? 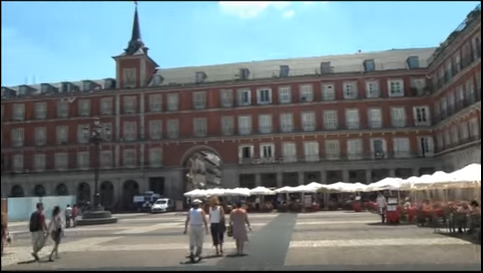 We’ve got your complete guide to professional soccer/football tours and travel in Madrid, Spain! Booking the best youth soccer tour means choosing the best company. EduKick has been serving soccer teams since 2001. 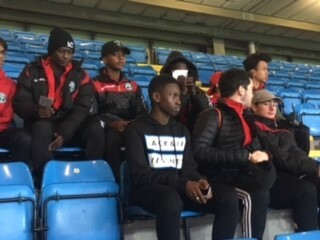 On an EduKick Team Tour, all football services are provided including, soccer training with Spanish coaches, competitive matches against local Spanish sides, attending a REAL MADRID or ATLETICO MADRID pro match, three meals daily, hotel accommodation, bilingual group leader, excursions, social activities and all ground transport. VISA support also provided when needed. Jumping into the culture for a true European tour encounter should include learning football from European coaches and learning the language from certified instructors. There is nothing more inspiring than walking the stadium where your heroes play, or better still, watching them play live! Team tour and training packages for your team should include competitive youth teams.. EduKick also welcomes ADULT amateur or professional squads. All-inclusive services are a must. Do the football services provided include: daily soccer training with a Spanish coach, competitive matches against local Spanish sides, attendance of a REAL MADRID or ATLETICO MADRID pro match? Are all three meals provided each day? Is the apartment or hotel accommodation included, and do they provide a quality stay? Make certain you have a bilingual group leader, all-ground transport, and visa support. Paying attention to the little details now will result in a rewarding experience for your team. Planning your football/soccer tour means including a great travel experience. There are many historical and cultural things to experience: great food, amazing people, and beautiful locations you will want to see. Make certain the tour you are looking for includes quality lodging and transportation. So much to do and so little time… you will need at least a week to take it all in. Knowing someone is there to guide you from the moment you step off the plane until you come back home is essential. Adult chaperones and bilingual tour guides should be always on point and accessible. Confidence in a safe experience means freedom to enjoy your European soccer encounter. What Can You Expect, Cost-wise? Top specialists in booking youth soccer tours will tell you they’re looking for students with the right attitude, discipline, and drive to be the best. Football/soccer tours are for players who show heart by being on time, working hard in academics, and show good sportsmanship. Pack a great attitude and work ethic to receive the absolute best value for your experience. The ideal student football/soccer tour is about expanding horizons that will open doors for the rest of your life. The European Youth Football Tour experience of a lifetime is waiting for you! >Local transportation to/from the hotel to all program activities. > Six (6) coaching sessions by Professional FIFA certified EduKick Madrid Coaches at 2 hours per session. Looking to find the right soccer/football academy? Congratulations! You’ve found it. EduKick International Football Academies offers two exciting opportunities for great soccer training and a solid academic program. Here are some notes to help you make the best choice. English football matches are both faster and more physical than soccer games elsewhere in the football-playing world. There are four things that most English coaches ask us about when it comes to players: attitude, athleticism, ability with the football, and commitment. With English football training, upper body and core strength are key. English players tend to be stronger, so start strength training now for these intense physical matches. In addition to building your strength, also work on your speed, agility, and endurance. This will prepare you for the fast and furious pace of English football. Watch player and training videos! For football academies in Spain, precision and speed are a lot more important than power, and training involves team-oriented and tactical skills. It’s important for players to be aware of their surroundings and know where teammates are on the field. For players considering a Spanish international football academy, one thing is most important: a love of the game. According to Nacho Mallo, the head coordinator at EduKick Madrid, players with a passion for football are the ones who are going to improve the most. Don’t know English or Spanish? No worries! Language classes are part of the required curriculum here. Both EduKick venues offer excellent student care and supervision. We work hard to guarantee the security and welfare of all our student-players and make sure they get a solid education to boot. Have training questions? Call our professional staff at 866.338.5425, or internationally at 001.905.469-5661. The last week of December was full of great technique training and work. The boys did an amazing job of mastering the new skills. 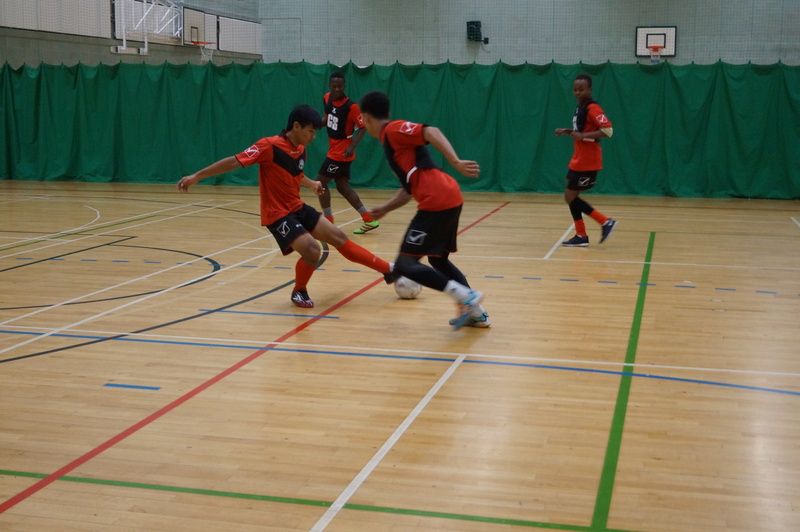 The beginning of the week brought in the Futsal training, which is a type of ball control. It adds a great advantage on the field by using quick passes in tight areas. The Spanish academy has also had great success with this. EduKick Manchester v. Liverpool (under 18 squad). Later on during the week, the team started working on more communication and controlling the ball. Problems with ball possession and misunderstanding around the team have actually cost the Manchester guys four goals at the Liverpool game. The Man of the Match was Miles Kibukosya. Blackburn Rovers v. Huddersfield Town. 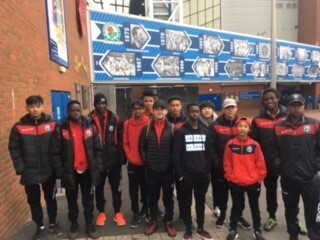 On Saturday the boys headed out to visit Ewood Park to check out the Champion fixture, the result being 1 – 1. It was a great way for the team to see the training and skill involved with playing a good game at the highest caliber. Working toward your goal of becoming the best student athlete you can be?